For just $46.95 you can change your life. Recent research into the capacity of the brain to change and adapt to new challenges revolutionizes the way we think about our capacity to grow and evolve. MindSparke Brain Fitness Pro™ embraces this possibility by allowing its users to improve their intelligence. The most sophisticated brain training software available; and the only brain fitness product proven to increase your intelligence. In April 2008, researchers from the universities of Bern and Michigan demonstrated what others thought impossible -- that people can, with appropriate training, get smarter. MindSparke Brain Fitness Pro™ adapts the team's research so that anyone can achieve these results. Intuitive and straightforward to use. You'll be up and running in a few minutes, and well on your way to a smarter future. For just $46.95 you can increase your scores on IQ tests, SATs, LSATs, GREs... and all other tests that require fluid intelligence. Purchase and download the MindSparke Brain Fitness Pro™ or learn more. 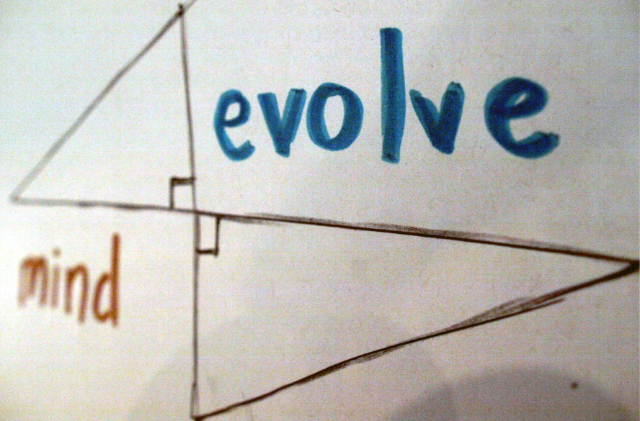 mind evolve's methodolgy was borne of rigorous academic research. Only mind evolve guarantees that you will improve your scores on tests that require fluid intelligence. We are delighted to be able to offer MindSparke Brain Fitness Pro™ at a purchase price that we hope everyone will find affordable -- just $46.95.